Well it's almost Christmas kids, and a long-standing tradition of mine, after having my cocoa and counting my presents, is to relax in my fake-wood-paneled basement and enjoy some classic retro TV Christmas specials in glorious 480i resolution whilst eating Twinkees. No, no, I don't have a time machine, well I'm sort of working on one, but it's years from completion and I still don't know where I'm going to find a high enough grade of plutonium for the...ummm...yeah...so since I DO NOT HAVE A TIME MACHINE I just plop down in front of my home computer, log onto the information super-highway, fire up Netscape and visit BetamaXmas.com. 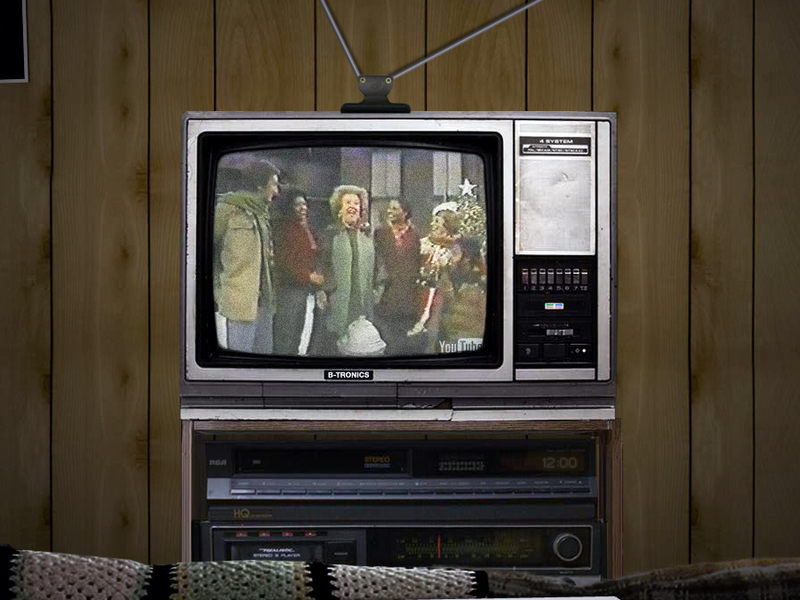 Complete with a ratty but comfortable couch, and what I'm pretty sure is a Bo Derek poster on the wall, BetamaXmas serves up past-time holiday goodies and retro commercials in a totally rad 80s style, complete with a VCR which perpetually flashes 12:00 a.m. There's even a TV Guide and channel changer available if you feel like surfing and make sure you adjust the antennas on top of the TV to ensure the best possible reception. And in case you're wondering, that's Ethel Merman in the screenshot singing "The Sun Will Come Out Tomorrow" on an old Sesame Street Christmas special. Crazy. MERRY CHRISTMAS EVERYONE!